Valentine’s Day is one of JustaBXgirl’s favorite holidays. I think she’s mesmerized by the red, pink and hearts everywhere. Plus she loves love so what is there not to love about the day. I won’t burst her bubble on the true sad history behind the holiday until she’s older. That being said, Valentine’s Day is kind of a big deal around our home. There are cupcakes to be made, dresses to be bought, and parties to be thrown. I’m also always looking for ways to bring back the basics of arts & crafts and story time. 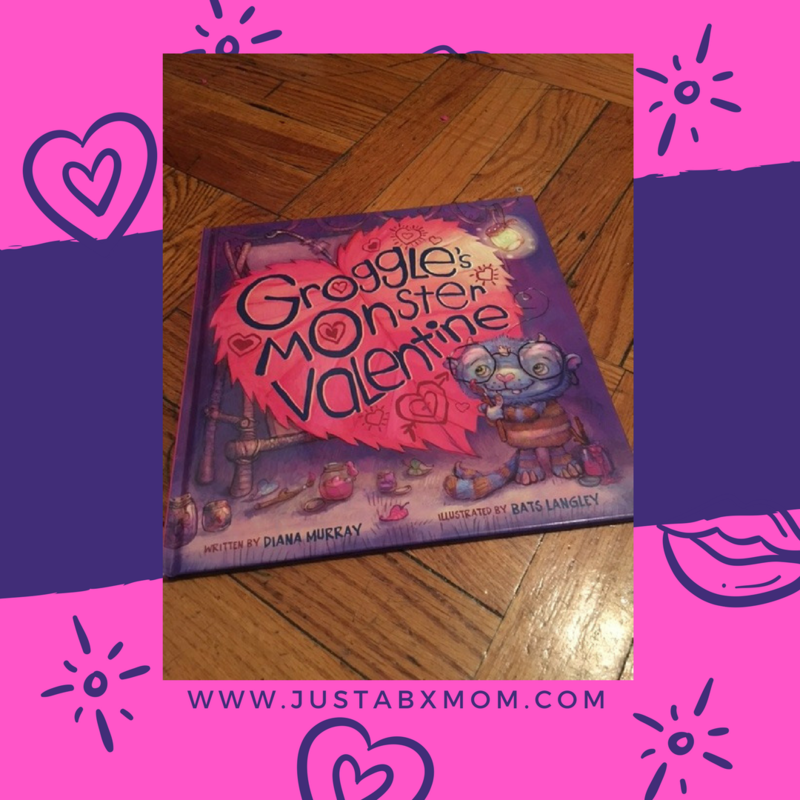 When an invitation to a reading and signing of bestselling author Diana Murray and award-winning illustrator Bats Langley’s new book, Groggle’s Monster Valentine, found it’s way into my inbox I knew we had to attend. And then it got better, they sent us a copy of the book to review!!! When you’ve heard the story a few times you read it to mommy! I love my job. And this book is too cute. It’s all about a monster named Groggle and his desire to make his beast friend Snarlina the perfect Valentine. I won’t give the ending away even though if you can’t make the hosted reading I will be showcasing the book during a YouTube story time before Valentine’s Day! Make sure you subscribe to our channel to make sure you don’t miss it. This book will inspire you and your little monsters to make your own Valentine’s cards for your beast friends. It’s a fun read for the whole family and I’m looking forward to hearing it and getting our copy signed! But what’s even more fun is that I’m looking forward to seeing my New York readers there too. So, clear your calendars and RSVP to join me at The AFA Gallery SoHo (54 Greene St., New York, NY 10013) from 4-6pm on Saturday, February 4th. You can RSVP to the event on the The AFA Gallery website.